The success continues! A couple of weeks ago Poplöst and Jaguar Shoes got booked by their fans in Malmö. 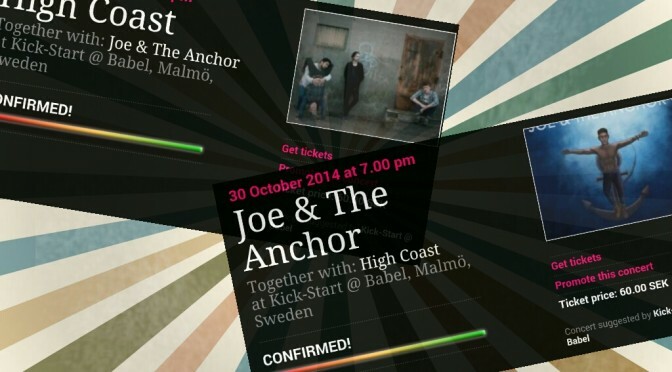 Last night High Coast and Joe & The Anchor was successfully booked by their fans, for a lovely evening at Southern Sweden’s indie club, Kick-Start at Babel in Malmö. You can still get your tickets for the show on October 30 – see you there!